William Jacket brings the decently designed quilted coat for the women. This product is made with quality PU leather which impels the lightweight while wearing it. It has a red color which quite attractive and it has quilted topstitching which gives a unique look to the overall coat. 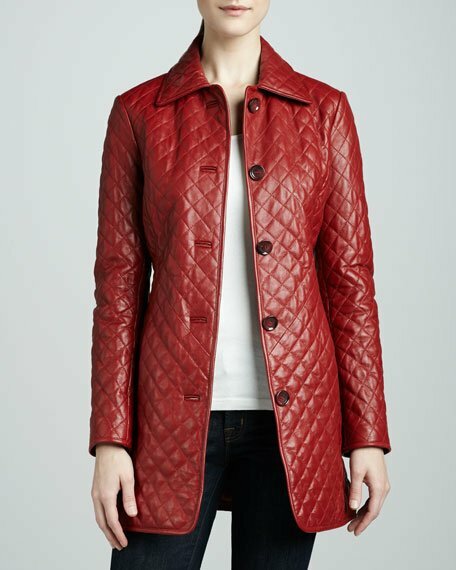 William Jacket has designed this women’s quilted red coat with spread collar on the top, and button fastening front. It contains long sleeves to give you full-length cover in extreme weather. To make it more comfortable for keeping your carriages it has to side pocket around the waist. 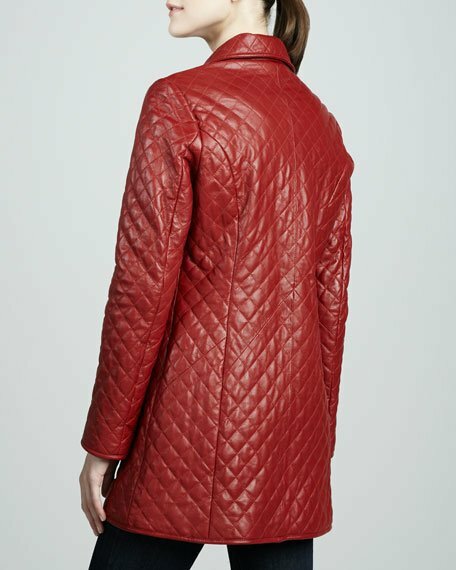 This Women’s Quilted Red Leather Coat grab my attention just because of it decent styling and red color. Especially PU leather makes it more in comfort wearing and looks beautiful. After purchasing this jacket I am fall in love with it. Thanks to William Jacket for producing such an amazing Coat. The Coat ” Women Quilted Red Leather Coat” is accurate in size and fit on me. when I saw this Coat on William Jacket website, I totally love with this and order it. I received this coat in just three days and quality is fine and made by PU Leather. Again thanks to William Jacket for making such an amazing coat. Red color always attracts to the people and in coat, it’s become more beautiful. I love black color and I tried to get things mostly in black. But when I choose this Womens Quilted Red Leather Coat My friends become surprised and ask about my selection. I have no words I like this tremendous style and its first look attract me so I got. I really admire this coat. I personally praise to those people who have been taken part to make this wonderful jacket. My fiancée offers me shopping. We go together and bought so many things. I bought different things but all things are for the spring season. Suddenly I bought Womens Quilted Red Leather Coat which contains long sleeves and viscose lining and normally it used for winter. I have no need to buy. But when I saw on shop my heart filled with pleasure and I buy it for later use. My fiancée has always trying to make fun of my choice and remember that day and become happy about my choice in a spring season. But I love it because of its style and good quality fabric. My mom says that I always use my money on the wrong things and I am not good at shopping. She never trusts on my choice. But when I purchase Womens Quilted Red Leather Coat which is heart touching look and its first glance convinced me to buy it. My mother becomes happy after seeing this coat, she likes it and admires its features that its long sleeves and especially PU leather and gave me good remarks for my choice. I was happy because I also inspired it. Now I and mom use it together and also she trust me for shopping.